Ever go to a jazz concert and felt so inspired to learn how to improvise and create music on the spot? Have you heard Wynton Marsalis play an amazing rendition of Happy Birthday on the trumpet, and think that you want to play Happy Birthday that well too? Or, have you gone to a local summer concert in the park and seen the Community Band perform. It's exciting to see the Brass stand up at the end of Stars and Stripes and nail the ending of that piece. Those trumpeters soared on those high notes and the saxes just flew through those fast scales effortlessly! You love music, and want to improve your skills to be able to perform in front of an audience. Maybe you played an instrument in high school and want to brush up on your technique and reading. Or, you always wanted to play Trumpet or Saxophone but couldn't find the right teacher that teaches you in a way that you can learn and improve. Perhaps you feel stuck with getting a great sound or improving your technique. Maybe you are not sure what to play to get better, or need a better practice routine. With your full time job and family, you have limited time to practice and need a quick, efficient practice routine that will keep your chops in shape. You play great by ear, but want to learn how to finally read music. How do people have the time to practice and sound that good? Ever notice how some people can get a new piece of music, and just read and play it effortlessly on the first shot? Or you wonder how musicians get such a beautiful sound and it seems like they're not working hard? Or how that saxophone and trumpet player can play those screaming high notes and not pop a vein? Everyone asks those questions – you are not alone! Many people feel that playing an instrument is something “magical”; you need to be born with talent in order to perform. Most people have such hectic schedules, they can't seem to find the time to practice. And when they do, they are not sure what to play, what order to play it in, and they run out of material to play or the music they want to play is too hard. The secret is that professionals come up with a plan, and they make sure they carry it out each time they practice! Imagine being able to go to the music store, find sheet music for your favorite songs, open up the book and be able to hear what the music sounds like in your head right there, without an instrument! That sure would be nice, right? It turns out that lessons with Donna Schwartz can get the same results for you. Donna's extensive background in Music and Psychology can help you make the progress you want to see and hear. Studying Psychology and being a Social Worker helped Donna place herself in “other people's shoes” and relate to their problems and needs. Being a top scholar in music programs in a number of Music Schhols and the prestigious Tanglewood music camp has given her extensive knowledge of music. But more importantly, Donna teaches you in a much different way than others. You learn about a process to understand music and are able to remember how to play simple songs with ease. She guides you through warm-ups and exercises that make playing the songs effortless. Knowing that you are super busy with a full time job and a family, she works with you to create a practice plan and schedule that helps you find some time each week to make progress. In no time, you are feeling confident with your music performance and reading! Here's why I can relate to each person and tailor specific goals to help them become successful…. We were told to buy a method book (Breeze Easy) and get our own trumpet. Our first lesson was learning how to form our lips to play the instrument AND work on page 1 of the book, which meant reading notes right away. I didn’t have too much of an issue reading the notes yet, but I couldn’t form the lip setting to save my life. And I was not allowed to move ahead in the book until I got everything! Frustrating was an understatement! I was embarrassed and ashamed. The other kids would tease me and I was mortified. Every day, I would try to get a sound out and have no luck. I would throw the horn against my bed (I didn't want to break it) in anger. I knew, deep down, that I could be a great player, but no one was explaining to me how to play! Fortunately for me, my older sister was playing the Mellophone (like a Marching Band version of the French Horn), and she showed me what to do. Granted, it wasn't the “best” setting for trumpet, but I got a sound out!!! I was elated, and practiced everyday. My confidence grew, and within a few months, I became the best player in 4th Grade. I was honored to get accepted into All County ensembles throughout Elementary, Junior and Senior High Schools, as well as All State ensembles, and prestigious summer music camps. Throughout Junior High and High School, I was starting to build the skill of problem solving embouchre issues by helping my peers play their instruments (clarinets, brass and saxophones). But secretly, I was having my own problems building my range and endurance. The thing was that I could read anything, but I didn't have the range and endurance I wanted and needed to play the advanced material my brain was ready for. I could help others, but I couldn't help myself. I didn't have a private teacher until high school, and we could only afford lessons every other week. And yet again, I didn't quite get what my trumpet teacher was trying to teach me. The school teachers focused on the concert music and some method book exercises – they didn't have time to help with embouchure issues. So, I emulated my older peers, who were really good at using lots of air and also lots of pressure. I thought that's what trumpet players had to do in order to play high notes. Pain was normal, right? It worked for a long time, but so many years of using excessive mouthpiece pressure and not understanding how to coordinate my lips with the air took its toll. Like many other trumpeters, right out of High School and going into music school, my embouchure gave out. I literally could not play a note! I was mortified because my brain could understand and play all the challenging music in front of me, but my lips couldn't. I started to develop massive stage fright, which was something I was not familiar with. I sought help from amazing players and teachers: Joe Foley, Vince Penzarella, Ed Treutel, Mel Broiles and Laurie Frink. I learned so much from them not only about playing, but also life in general. Vince and Joe changed my mindset and use of air, Mel challenged my reading, transposition and musicality, and Ed and Laurie helped me problem-solve various embouchure issues. With their guidance and my own hard work, I dug myself out of that horrible hole I fell into after high school. At the time, I was so angry about all that was happening to my playing and my mindset. Yes, I would get nervous – very nervous – before performances and auditions in high school, but I managed to perform well in spite of the nerves. I felt like I became the weaker musicians I observed in high school – the ones who didn't practice or just didn't get how to play their instruments. They were always so embarrassed to perform out loud, and their body language said it too – they had hunched-over shoulders and always looked down. Going from the best musician to the worst would have made anyone quit, but I was determined to conquer my problems. During my undergraduate work in music, I decided to get a double major in Music and Psychology so I could help myself and others get through this nightmare. I worked in Social Work types of jobs for a few years while continuing to practice and perform on trumpet. I studied all the Research Journals and books on Performance Anxiety to understand the processes behind this fear and the different strategies people have used to overcome it. I even took a course at Juilliard to help get deeper into what the mind goes through and how to get past it. A friend recommended some great books that exposed me to Meditation and Visualization techniques, which I use to this day. During this time of doing my research and soul-searching, I also took up the Tenor Sax. I always loved the sound of saxes – when you're a child growing up in the 80's, who didn't love all those great R&R sax solos! I was amazed at how quickly I picked up on the Saxes; I taught myself Alto Sax a few years later. What was even more amazing was that I didn't have performance anxiety when I played Saxes. I studied my own thought processes as I performed on Saxes to help me overcome the stage fright I had on Trumpet. Studying Psychology, researching Performance Anxiety and performing well on the Saxes gave me a ton of insight that would later help me teach others how to get past their own fears. But while I was working in Social Work, I always felt the need to go back to doing what I loved – Music. During my undergraduate studies, I was always encouraged to teach music in public schools. I even became president of my college NafMe (National Association of Music Education) chapter. I believed strongly that music education was vital, but didn't feel that teaching in schools was my path. After overcoming my own performing struggles, I felt the time was right for me to help others get a good start on their instruments and enjoy playing. I made it a mission to make sure musicians of all ages and levels were having fun and not getting caught up in the mind games of stage fright. I became known as the person to always “play it right” on the 1st shot because my reading was so good. I figured out a system for reading music back then that I still use today with much success. I couldn't understand why people had such difficulty reading music. You just sit there and do it, right? When I was first teaching beginner students, I used the same methods I was taught for reading music: assign each page of the method book every week and hope they get it. Some students DID get it, but what I noticed was that many didn’t. I also noticed that even with the kids that did get reading, their rhythms were either wrong or not steady. Concerts were always a nightmare because I never knew if the students would speed up uncontrollably. I was so frustrated and disheartened by the time summer arrived every year. Then, one summer I took a course at the Hartt School of Music on improvisation. Since I loved Jazz, and wanted to find new ways to teach improvisation to my students, I thought this would be a great course to take. Well…..it totally changed my life and my teaching forever!!! The teacher, Chris Azzarra, was exposing us to a totally different way of learning music, which helped us learn the music better, understand it more thoroughly and become better musicians while enjoying learning. After that summer, I researched as much as I could about this teaching method and concepts, and pursued their certification in teaching instrumental music. Once I started using the concepts behind this method of learning music, I saw a drastic change in my students. My drop-out rate went from 7-8 out of 50 students to less than 3! My enrollment numbers of beginners increased from 40 to an all time high of 67 (In a school with 150 4th & 5th grade students)! More importantly, my students were able to play different parts at the same time and keep their rhythms steady for the first time ever! My Jazz Band had the most improvement as my students were able to hear chord changes, and keep a solid groove without much effort. Unlike most teachers who feel pressured by administrators to have children read music, I bucked the trend and did NOT teach reading music until I was able to build their musical vocabulary. Since I was getting great results, and the students were loving music and enjoying performing, I was not hassled by my administrators. Now, don’t get me wrong, it wasn’t all that easy convincing people that this “new” method was the best way to teach. In fact, many teachers in my district were vehemently against what I was doing, even though I had the results. I personally think it was because I had to do a lot more work and be a better musician in order to be an effective teacher. Some of my critics were so set in their ways and did not want to get away from the “cutesy games” that did not translate into actual learning. But honestly, the best result was that my students were enjoying performing their favorite songs, and they were doing it within 10 weeks of starting the instrument. The 27+ years of performing experience, with many of it with various bands in different genres, has helped expand my improvisation and find ways to teach others how to improvise in a sensible, easy to understand method. “Donna not only gave be a variety of strategies to help improve my counting whilst improvising, whilst not stifling my artistic imagination. However, Donna did not stop there, she looked at my current goal and discussed how I had been very ambitious. We covered different approaches to studying the jazz standards, including starting off with a metronome session before adding backing tracks. Amazing….I was no longer getting lost during soloing…. But did not feel stifled, in fact Better improvisation seemed to flow. I have also had great results with adult musicians. “I have been an Alto player all my life and played Tenor as needed. Lately I have really enjoyed playing the Tenor. While playing in the Altissimo has been a little easier on Alto, I have never been able to access the upper register on Tenor. I finally broke down and started working on this and like everyone have found myself having trouble playing the Altissimo G! Donna in her lesson helped with an exercise of singing through the mouthpiece then playing the note. As I am still having trouble with the note I know that with the technique she taught me, I will be able to get it soon. The main thing I was looking for was being able to attain the high G. I feel I am on my way to achieving that goal. 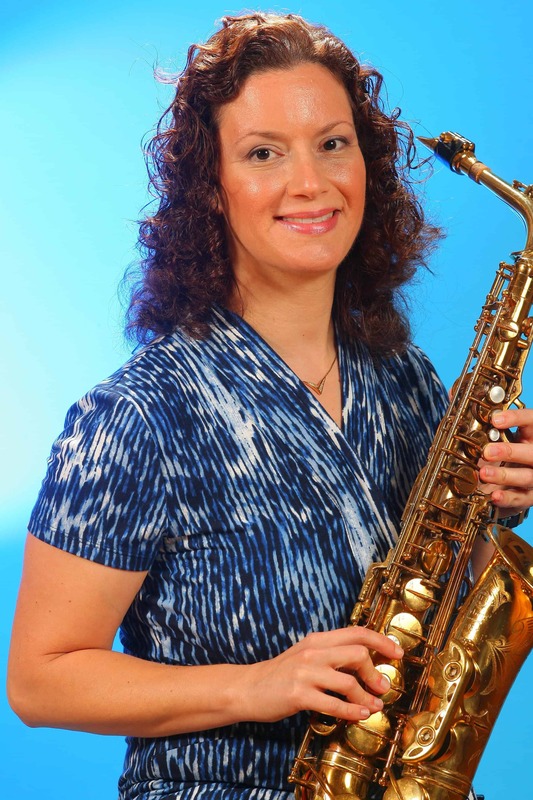 Donna is very upbeat and passionate about music, not to mention very knowledgeable about the saxophone. I felt very comfortable bringing this issue up to her. She is very positive in her comments and makes you feel at ease as you are struggling to get the concept. Many adults want to play their favorite songs or pick up an instrument they played in high school and enjoy making music again. It's hard to find time to practice, and you don't want to look foolish in front of your private teacher because you made no progress this week or just don't understand what he's talking about. Having gone through those concerns myself, I totally understand where adults are coming from. I took many courses on Productivity and researched how to set effective goals to be able to guide students to achieve success. Having my Social Work Degree helped me to see the root cause of the issues my adult students were facing, so that I was able to really help them make progress at their own pace. How can my story help you? I have taught all levels of students for over 27 years, and have judged Solo Festivals and auditions for over 16 years. Going through my own struggles, researching the psychology of performance and performance anxiety, learning the most effective methods of teaching all the Band instruments, and continually growing and learning new strategies and approaches in teaching has led me to help numerous students and teachers over the years. Problem-solving is one of my specialties. I have helped hundreds of students who had issues with endurance, dealing with braces, reading music and embouchure difficulties get past their problems and succeed. Many students practice without setting clear, achievable goals. They practice as if they are cramming for a test, which does not work well for learning to play a musical instrument. Famous musicians did not experience success overnight; they knew where they wanted to perform and worked everyday to get there. Together, we will set goals and an efficient practice plan to keep you on track to achieving your dream. I will teach you how to teach yourself to problem-solve your own issues, so that your practices and performances are more enjoyable, and so that you do not have to rely on someone else to fix your problems. Take Jake, for example. All the way back in elementary school, he had the mindset that he wanted to be a great trumpet player. He soaked up everything he was taught. I noticed he had special talent, and exposed him to Jazz at an early age. He was hooked! I taught Jake during free time at school and after-school over the years. He became so successful that when he was playing a jazz solo at the prestigious USDAN summer camp, all the music educators attending the show swore they were listening to the renowned jazz trumpeter, Tom Harrell. Jake was equally adept at classical music too, and wound up playing in many ensembles in school, All County, and All-State. We worked on his audition tune and improvisation and he got accepted into Manhattan School of Music's Pre-College Jazz Program at a young age. Jake had a vision, listened really well, worked hard and accomplished much success in his school years. Why Donna Schwartz for Music Lessons? You're probably thinking, well, I can just go to YouTube and search for videos on how beginners can play Trumpet, Saxes or any of the Band instruments. That's free, why spend the money. Sure you can do that, but do you know what their teaching experience is? Are you sure that what they are teaching you is right? What if you don't understand what they are teaching? I have been teaching trumpet, beginning trombone, French Horn (single and double), Baritone (Euphonium) and all saxophones for individuals and small groups for over 27 years, both privately and in public and private schools. Many of my younger students have gone on to excel in their high school performing groups, jazz bands, All County Band and Jazz Band, All State Concert Band and Jazz Band and All-National Concert Band. My students have attended USDAN Summer School for the Arts, Juilliard, Manhattan School of Music, S.U.N.Y. Schools, and many other fine music schools across the country. I have performed in front of audiences of up to 10,000 people in such venues as the House of Blues in Anaheim, Orpheum Theatre (Los Angeles), The City National Grove of Anaheim, Whiskey A Go-Go, The Viper Room, Aquarius Casino in Laughlin, Viva Las Vegas Festival, Lake Havasu Rockabilly Festival, Wolf Den (Mohegan Sun), World Cafe (Philadelphia), Paramount NY, NYCB Theatre, Landmark Theatre, Patchogue Theatre, Riverhead Blues Festival, Dix Hills Performing Arts Center, and many others. Because I have been performing in public since I was in Junior High School, I know what it takes to put on a good show. My teachers and mentors have given me priceless real world experience that I have passed on to my students. My trumpet teachers were Joe Foley (Atlantic Brass), Vince Penzarella (NY Philharmonic), Mel Broiles (NY Met Opera), Ed Treutel (NYC Opera), and Laurie Frink (Maria Schneider Big Band and Carmine Caruso Method Expert). My saxophone teachers were Jeff Lange and Lou Doboe. During your free phone consult, we will set the path to reach your short and long-term goals and create a custom lesson package just for you. Packages are usually three months in duration, and are completely renewable. If you want to study with me privately as an individual or in a group, and live in the area of Los Angeles or the northern part of Orange County, CA, you can take lessons in my private studio. Many of my students are from all over the world. Online lessons via Skype, Facetime, and Zoom have been very effective in helping all of these students. For many students, this is the most convenient method of studying with me. ⇒ CLICK HERE for the application. Spots are extremely limited at this time, so please complete the application as son as possible to be considered. What if I just want to take music lessons for 1 month, or even once in a while? I do offer 1:1 Coaching Sessions on an as needed basis. We can discuss this after your application is reviewed and accepted. How do Group Lessons work? Teaching small groups is one of my specialties! Small groups are great because some people learn better by watching others. It helps to watch others problem-solve any of their own challenges, and it makes for a more social environment, which can be more fun for the younger students. Do you want results, or do you just want to try harder and hope for a better performance? During All County auditions for seats, I'll never forget this one kid who played trumpet. We were sitting in the auditorium waiting with everyone else in the All County Band to audition. Every minute, without fail, I kept hearing “high C's” being popped out. I sat there thinking, this kid is trying so hard and is so worried that that note will not come out in the audition. He is just going to keep attempting to play that note all the way up to the time we go into the room. What I realized at that young age was that “trying so hard” and over-taxing the very small muscles would not lead to success, but would lead to exhaustion and failure. Playing a musical instrument requires a level of discipline that builds technique over time; cramming practices in before an audition often gives the opposite result of what we want. So, what happened at that seating audition? We got into the audition room, and that kid “blew out his lip” (was exhausted) and couldn't play. I got first seat because I strategically warmed up and had prepared the materials well beforehand. How will music lessons with Donna Schwartz bring me the results I want? My music lessons are centered around achieving reasonable goals. Most students do not have goals in mind when they practice. They cram for a performance like they cram for a test, not realizing that they can do damage to the muscles in their face and bodies during that time (as you saw with that story above). Helping students build a solid technique, work on really “hearing” the music before it is played, and encouraging rather than discouraging them has changed their performing for the better. 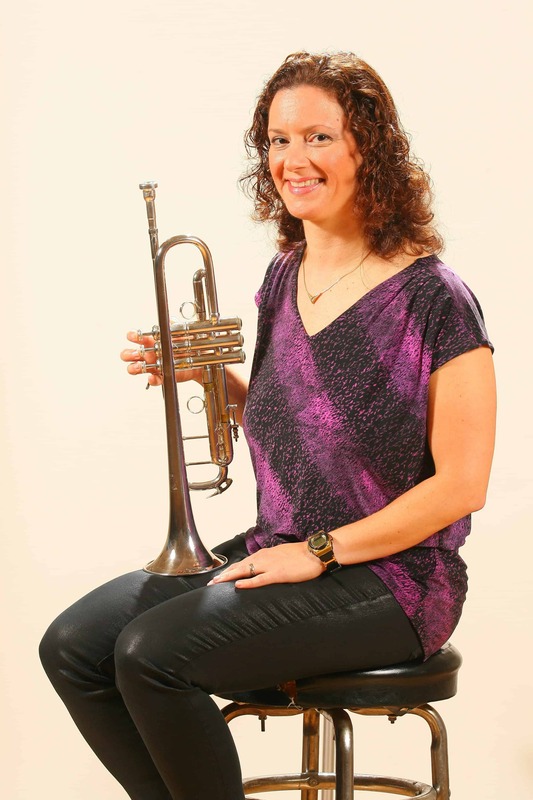 Over the many years I have been teaching privately and in public schools, and also through my own struggles as a beginner trumpet player, I can spot a technical problem much quicker than many other teachers. Instead of spending months wondering why you are still struggling, I can pinpoint the issue quicker so you can solve the problem and move ahead. Complete the Private Lessons portions of the form below. I want to help as many people as I can to enjoy performing music, reach their performance goals, and get accepted into elite ensembles and dream colleges. I can't do that without you…. With each new student you refer (that signs up and pays for a package), you will get 1 FREE lesson added onto your package. The more students you refer, the more FREE music lessons you get added on! This is my way of showing how much I appreciate your support. Sound good? Refer your friends and let's keep the music playing!